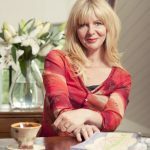 As customers we want to know if we can ‘like, know and trust’ the companies we buy from, so in this series we ask the person behind some of my favourite natural and organic companies, wellbeing authors and practitioners to step out into the spotlight. 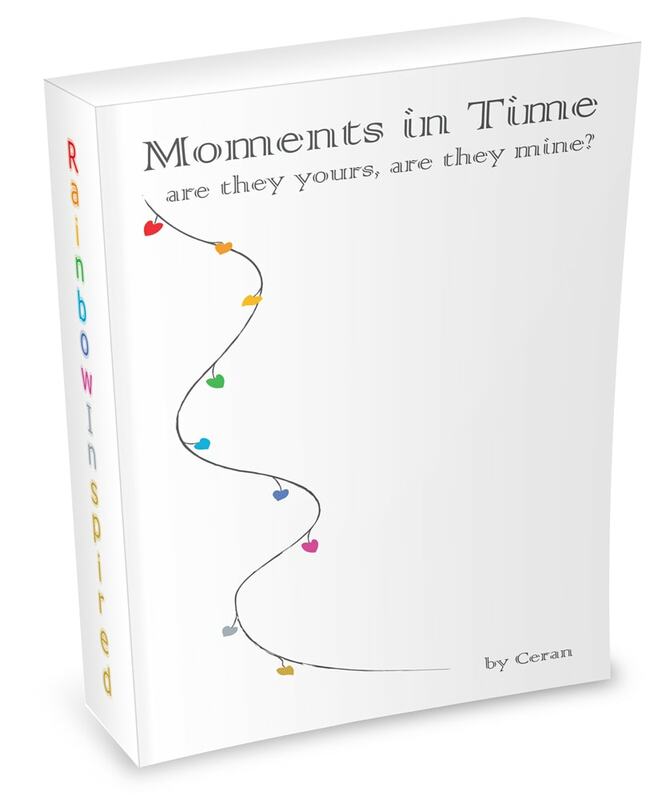 Rainbow Inspired Verse Collection by Ceran truly came about quite unexpectedly out of the blue and by chance really, – or was it ? – as I hadn’t had any aspirations for a project like this at all. I’ve always been fairly intuitive, as most people are, and for many years of my life I have often taken the advice of others, or followed my logical thoughts when decisions were made, as most people do. It took me a long time to become aware and realise which guidance served me best. I was quite happy, feeling at ease that I was doing just the right thing, going about my days dealing with whatever they may bring, enjoying my work doing my reflexology and vibrational angel healing and helping others, which I’ve done for many years, but I sensed there was more to come – in what way I didn’t know at that point, – but as always I just carried on with my daily life until ‘whatever it was’ would become apparent at the right time and I would then do what ‘felt right’. Several years passed still with this feeling of ‘more to come’ until one day Rainbow Inspired Verses began to channel through and it felt so right and natural to connect with it in this way that although there were some upsetting times at this point in my personal life I felt so supported and surrounded with this unseen, powerful connection I was able to move forward on my life’s journey with a loving heart, and peaceful soul and write the months of channelling it took to complete the whole collection and wait for ‘the next intuitive guidance’ as to what to do next with all of these verses to make sense of the purpose of it all. I’ve connected and worked with angelic healing vibrations for many years – just not in this particular way – I truly could sit from now until whenever with pen in hand and not write down a single word, never mind a verse collection. Then I noticed that whenever I went to sleep I was woken with words swimming around in my head. At first I didn’t think anything of it, but as the nights passed the words just kept coming and so I began writing them down. Over many months and with much effort and completely out of my comfort zone, I ‘knew’ this project was very important and so I managed to deal with the detailed practicalities of self publishing the books and all that entails, – difficult but made a little easier with the right people who came along at the right time – and completely guided by my inner connection and intuition. My trust was unquestionable even though there was no logical reason for doing this and no obvious guarantee of the outcome. But I just ‘knew’ it was right. 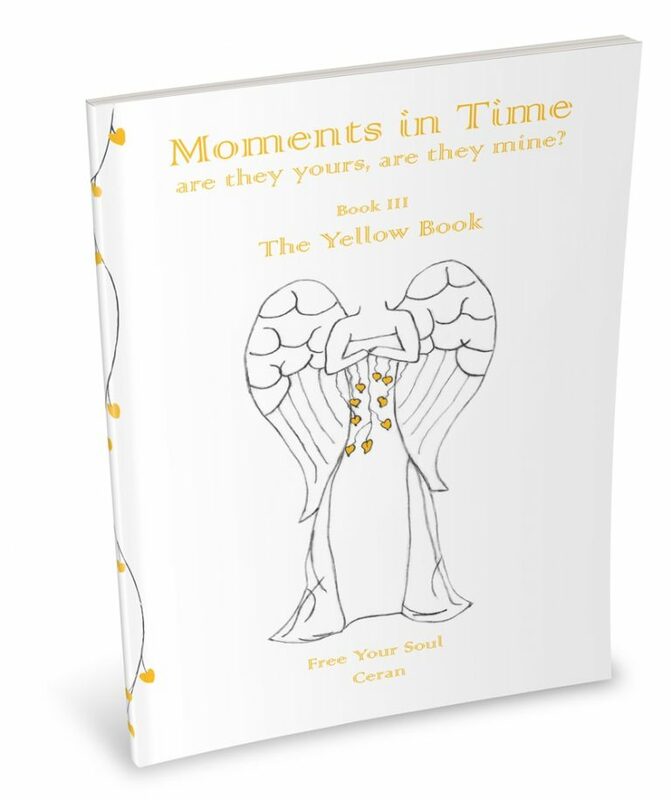 As this beautifully inspirational and emotionally comforting collection of verses which offer a sense of connection, help, support and guidance for everybody who uses them creates this magical, angelic, universal connection to resonate with, so people can begin to feel, trust and recognise their own inner strength, love and positivity and bring about a sense of clarity and peace, making intuitive changes within their busy lifestyles whenever needed. I now realise, the Moments in Time, are they yours, are they mine? Verse Collection by Ceran has been my soul’s purpose to create, in this particular way to help everybody who needs it, my life journey now makes perfect sense. 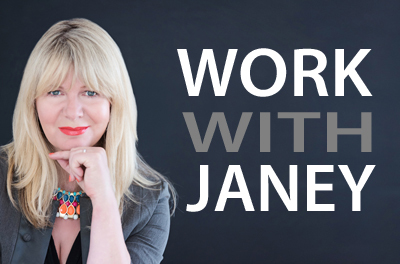 So I feel quite humble to be trusted with that very pure energy, so people can make their own deeply personal Soul- to-Self Connection on a daily basis and move forward in whichever way they feel and sense is the right way for them. What were you doing in a previous life? Depends on which ‘previous life’ you mean….. but for now I’ll tell you about the current one……… I’ve had quite a number of jobs over the years all of which have given me a wealth of life experiences. Saturday girl in a hairdressers, general admin work, hotel, warehouse, bakery, shop; which all just came along and suited at the time, but I never really felt they were ‘enough’; not in the ‘let’s get to the top of the tree way and be a manager’, in fact quite the opposite. I was happy doing my job as best I could and had no aspirations for more. Unlike others I never had any idea at all what I wanted to do as a future career. It always felt to me that I was just marking time and didn’t really share the ‘go- getting and get to the top’ attitudes and aspirations so I got on with it as did everybody else, just in my own way. Keeping my story simple…. 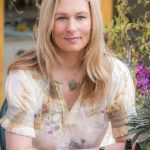 my circumstances began to change and during this time I felt more awareness than ever before in my life and felt a real ‘pull’ towards all things holistic, which from childhood I realised had always both interested and fascinated me. So very different from what I had always been taught and grown up with and yet it felt so comfortable and right. My inner strength of intuition, my Soul-to Self Connection helped me to overcome the many fears I had had since childhood. They didn’t go totally away, but I was able to face them even though I was completely out of my comfort zone and in unknown territory. It wasn’t practically and academically an easy change for me to make and I applied my parents work ethics, took a leap of faith, gave my all, and qualified as a Reflexology practitioner in 1999, and have been a practitioner ever since. Why natural / organic / sustainable/ holistic? I feel there is room for all sorts of natural ways of helping all sorts of problems with integrity, honesty and compassion be they emotional, physical or practical. It’s just a case of each person finding a way that ‘feels’ right for them rather than what they ‘think’ is right. Everybody in this world deeply cares on some level about many of the issues we all experience and are a part of in the greater scheme of things, and I feel that is the underpinning of life itself. Our daily lives are so busy we have forgotten how to be aware of our intuition and often dismiss the guidance it gives us when we quickly override with our thoughts, often ignoring the ‘this doesn’t feel right feeling’. I can’t think of a more holistic natural way of just being than trusting our real self. What’s your USP? What sets you apart from your competitors? Well I suppose for me the uniqueness is the whole reason for the completed Rainbow Inspired Verse Collection and the way it works. A Soul-to-Self Connection which just feels right, comfortable, easy, familiar and supportive. The reflections of everyday life and all it entails within each verse in a simple and real way which has been written for everyone and as we read them, help us to open our awareness and unlock past incidents in a gentle yet powerful way, allowing us to release and heal situations which no longer suit our highest good so we can move forward with purpose, positivity and inner strength. The way the books are specific to each chakra and the verses are specific to each book and the way people identify which chakra needs healing, purely intuitively and with ease in an unknowing way as it just ‘feels right to them’ when they deeply connect and resonate with the words and begin to glimpse and recognise the essence of who they truly are and that person who has been locked away for so long. These books have been written for everybody to take a moment and read without pressure, expectation or outcome in today’s real and busy life we lead. For those who are happy but feel that there is something missing or something they need to do and have no idea what. Uncertainty about a situation or decision to be made. Sadness or upset about something. Rejection or betrayal of some form. Hurt by someone. Fearful of change or moving forward into a different situation, or just feeling generally unsettled in life with no real reason why. What kind of feedback you have received from clients? Truly an eclectic mix of positive responses and comments. The changes are different and personal to each and every one who works with the books. We all need ‘some-thing’, but not always the ‘same-thing’. People have noticed all manner and level of changes begin to happen in their lives after connecting with the verses they instinctively were drawn to. Some are just aware daily life seems to be easier in some way, but they can’t quite put their finger on the reason why. Some have felt intuitively that they want to take a little time in their busy lives to create, make, or do something different for the first time, and have noticed they feel happy doing even the simplest thing. Awareness that they are more comfortable with intuitively making choices on what ‘feels right’ for them, which may not appear at first to be the most logical choice from thought, and yet works out positively. A few have commented that it feels like you are just reading a verse which you deeply recognise and resonate with, but don’t always know why until that feeling of connection fades away and you stop reading that particular verse, and you think now what? and then changes happen. They sense it is something to do with the deep soul connection felt when reading the books, but can’t fully explain what it is. Some realise that whatever life situations or circumstances they have been troubled by is either easier or no longer an issue for them. 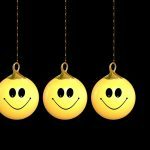 Others realise old emotions and ‘stuff’ in general no longer seem to be on their mind and so the way they feel about stepping forward is very different and much more positive. What’s the next big launch / project coming up for you? Creating beautiful bespoke Moments in Time (C2016) chakra scarves so people can always have the powerful yet gentle support and angelic wisdom surrounding them through their own Soul-to Self Connection wherever they are, whoever they’re with, whatever situation they are in; whenever they need it. For the Rainbow Inspired Verse Collection to be a simple ‘open gateway’ for all people to walk through and use to step onto their own path of discovery. Those who want to bring about change in some way or another, a way of clearing that feeling of a ‘gap’, ‘something missing’, ‘something not quite right’, a feeling of knowing there is something more they want to do but aren’t sure what it is, that missing piece of their life’s jigsaw. Few of us realise what our soul’s purpose is in life, but when we each are ready and the time is right, our journey begins to gently unfurl and we are awakened to reflect on our own emotional path of discovery, each in our own way so we can move forward with purpose, positivity, a loving heart, peaceful soul and stillness of mind. For people to begin to naturally feel that innate unseen, unknown sense of protection, clarity, connection and inner strength very personal to everyone, which they are aware of when its there but unsettled by it when its not, and to trust and draw on it to move forward on their own life’s journey without fear. Their own Soul-to-Self Connection. Simple enjoyment, love and appreciation in their own way of themselves, their worth and life generally. Oneness. Where can we find your products?